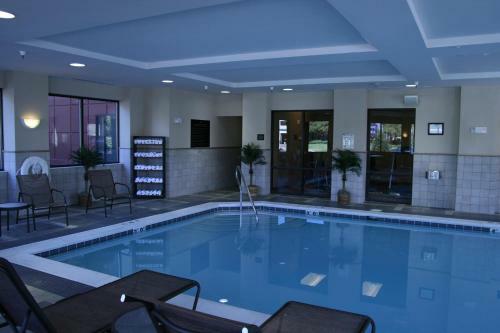 This Norfolk hotel is a 10-minute drive to the Norfolk Airport and offers a free shuttle. 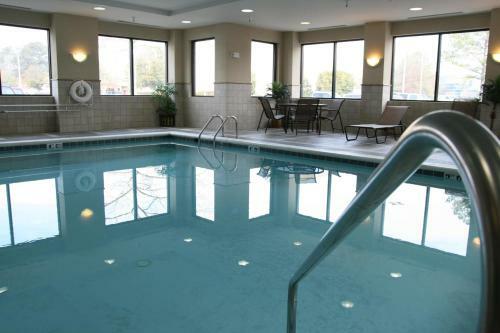 An indoor pool, business center and continental breakfast are all featured at this hotel. Every room at the Hampton Inn Norfolk is furnished with a work desk and a coffee maker. The spacious rooms are equipped with cable TV and free Wi-Fi. Norfolk-Airport Hampton Inn provided a continental breakfast every morning. Guests can use the gym or visit the on-site gift shop. Room service is also available. The Norfolk Botanical Gardens and Chesapeake Conference Center are a 10-minute drive from the Norfolk Hampton Inn and Suites. Virginia Beach oceanfront is only 15 minutes away. 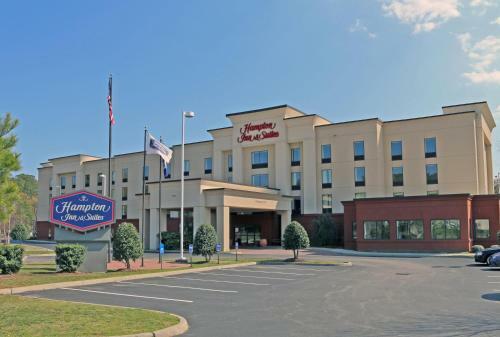 the hotel Hampton Inn & Suites Norfolk-Airport so we can give you detailed rates for the rooms in the desired period.